I have a big problem with jadera bugs invading my yard. I think they’re coming from a neighbors tree but we keep finding them in the grass. 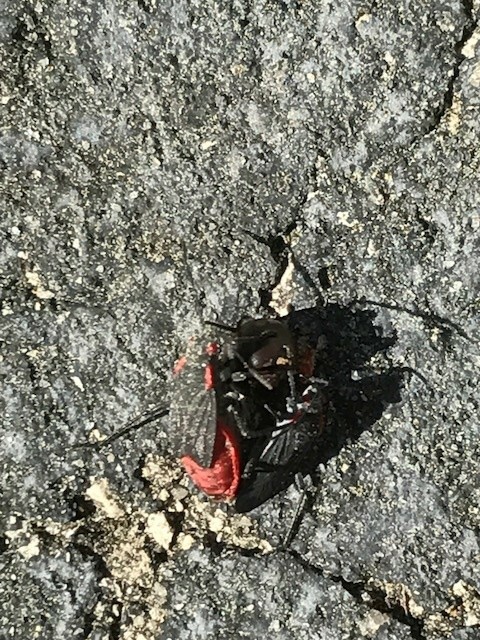 My kids will be playing and then they get bright red stains on them like blood but its these bugs. How do I stop them? 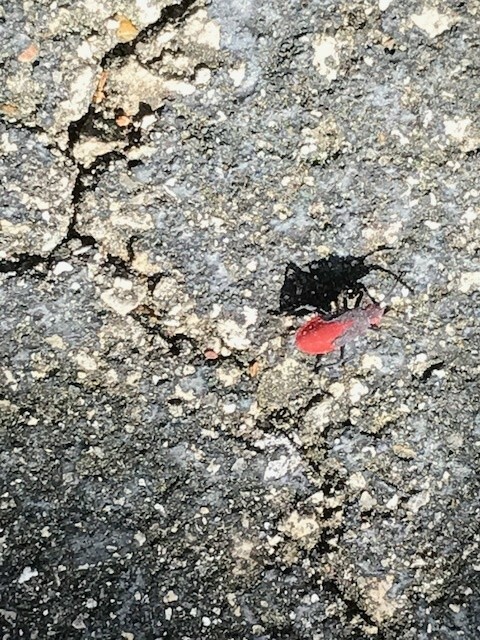 Jadera Bug walking on driveway. Jadera bugs are also known as golden rain tree bug, red shouldered bug, soapberry bug and commonly mistaken for box elder bugs. Found in California, Texas, Florida and a few other southern most states, jadera bugs will be active from spring to fall and can amass in great numbers when food is available. Jadera bugs will target plants like ficus and goldentree seeds but can eat most any fruit or seed. If food is limited, they’ll target the leaves and stems of preferred host plants. Here they’ll amass in great numbers but as fruit or seed fall to the ground, they’ll migrate to the fallen harvest. In the yard, they can feed on grass or turf so an active population can get established if not controlled. Spraying the turf with ADONIS can keep them at bay. 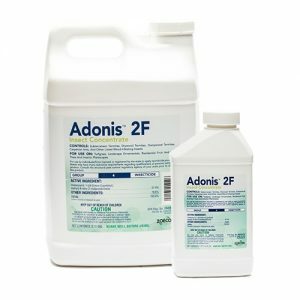 Adonis is commonly used as a turf systemic and when sprayed on trees and grass, it will kill all activity as well as protect the treated plant for 3-6 months. Add 2.5 oz of Adonis to our HOSE END SPRAYER and then fill the sprayer to the 5 gallon line with water. 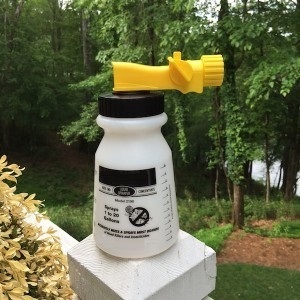 Hook it to your garden hose and spray the entire amount over 5,000 sq/ft of turf or tree canopy. You can also soil drench infected trees but in general, spraying the foliage will clear them out with one application. Any hose end sprayer can be used as long as you get 2.5 oz per 5,000 sq/ft of grass. This one is very is effective and easy to use. Jadera bugs can become a problem on the home if left untreated so be sure to spray the siding if you see them congregating around lights, under soffits, etc. At first there will be 2-3 but this can quickly become 50-100. Adonis applied to these areas will keep most any bug in check so they can’t start forming nests. If they’re already on the home and getting into living spaces, spray around all entry points with PHANTOM AEROSOL. This non-repellent won’t spook them. Like Adonis, Phantom will take 2-3 days to kill any which touch treated surfaces. But this is by design and by the time it kicks in and starts working, the active will have been brought back to the nest and effectively “shared” with others. 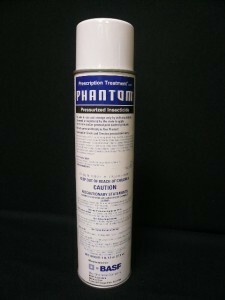 Phantom is very low odor and can be used around windows, doors, molding, light fixtures as well as outside in known nests sites.